Materials: Print out Paint Can Activity. Laminate for durability. Cut out paintbrushes and cans. Cut small slit in paint cans where indicated on the red paint can for the brush to go into. “Pretend to paint the wall yellow”. The child then puts the paintbrush inside the can to get some pretend paint. The child can pretend to paint the wall with the yellow paintbrush. Encourage the child to reach high and across midline. “Pretend to paint the baseboard red”. Child changes to red paint brush, puts in paint red paint can, and squats down low to paint near floor. “Find a blue object in the room to give it a fresh coat of paint”. Child changes paintbrushes, looks for blue object and pretends to paint it. 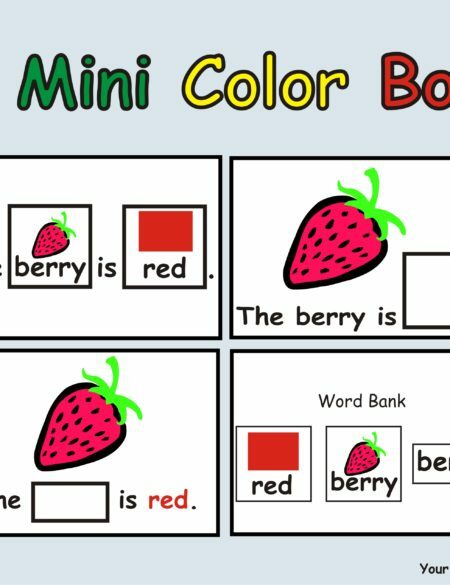 Need more activities encourage color recognition and motor skills? Go to File and Sorting Skills. 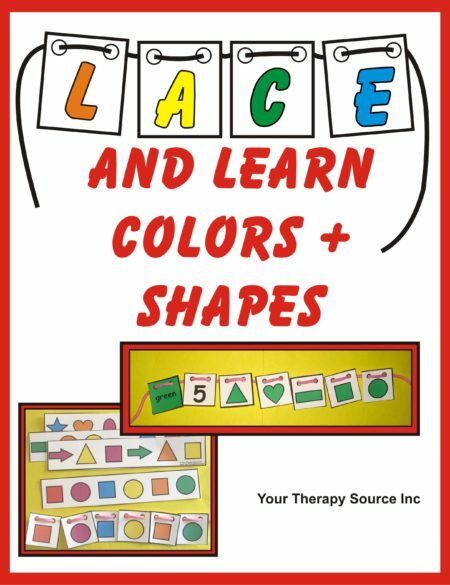 Check out our Lace and Learn Shapes + Colors. Need even more? – go to Visual Perceptual Games and Activities.